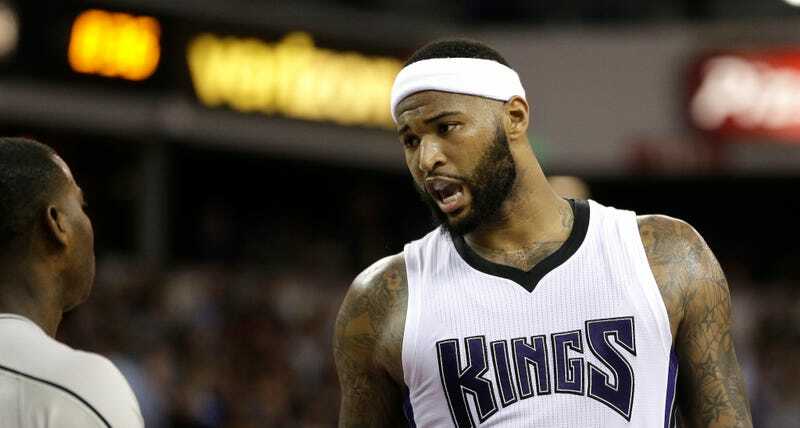 What's Next For The Sacramento Kings? Cousins clashing with Karl (or any coach, really) isn’t particularly surprising, but an added wrinkle is rookie Willie Cauley-Stein—who has averaged just nine minutes over the past four games—very publicly complaining about Karl’s rotations. The Kings basically fired Karl in February (at least, according to numerous anonymously sourced reports) before relenting and backing him for the rest of the season. At this point, however, anything other than Karl being fired this summer would come as a surprise. Opting for an offseason rather than in-season coaching change wasn’t necessarily a bad decision, but this summer GM Vlade Divac will face an even bigger question: what’s next? Cousins is an obscenely talented player, but it still isn’t clear how many wins that talent can translate too. This isn’t a fair criticism given the chaos and poorly constructed rosters he’s been surrounded by, but Cousins has never dragged the Kings to the number of wins you might expect from a superstar. His defense is a work in progress, his skill-set makes it difficult to run an up-tempo offense, and after six years in the league he regularly directs outbursts at anybody within earshot. That’s not at all to suggest the Kings should think about moving Cousins; they shouldn’t. Given their current roster, it’s worth putting up with almost anything to keep Cousins. But next season the Kings move into their brand new arena, and like the Brooklyn Nets before them, they hoped to bring a winning basketball team. Owner Vivek Ranadive has shown no patience for conducting a rebuild, and it isn’t clear that Divac fully understands how the salary cap works. The Kings will have roughly $20 million in cap space this offseason, and assuming that none of the top-tier free agents will opt for Sacramento, if I were a Kings fan I’d be terrified they are going to do something crazy like throw all of that money at players like Harrison Barnes or Jordan Clarkson in an attempt to make a splash. Despite his frequent clashes with teammates, coaches, and management, the one thing Cousins hasn’t done—publicly, at least—is demand a trade. When asked about Sacramento, he’s always said the right things. But Boogie has just two seasons left on his contract after this year, and in 2018 there will no doubt be plenty of teams dangling a max contract in front of him. The Kings don’t need any extra motivation to develop into a competently run and competitive franchise, but perhaps the fear of Cousins leaving in two years—or demanding a trade much sooner—will finally make that stick. After all, coaches, management, and rotation players are replaceable.